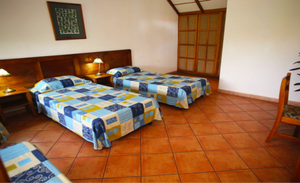 Hostel Casa Colon, located in one of the safest areas in San Jose is a new “Premium Hostel”, offering hostel rates, with high quality accommodations, and a friendly staff committed to making your stay as pleasurable as possible. 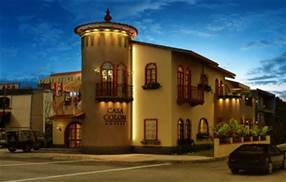 All rooms offer oak bunk beds with new orthopedic mattresses and clean 300 thread linens, deluxe wood ceiling fans, WIFI in room & lobby, key card access and security lockers, surrounded by beautiful colonial hand-carved wood decoration from 1945. 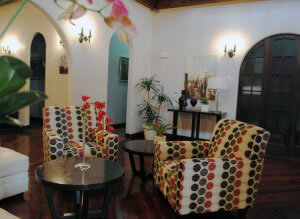 The hostel also offers private rooms with private bathrooms and flat screen TVs. 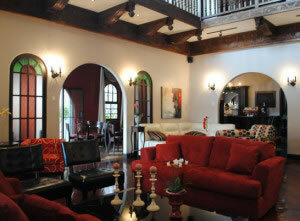 There’s a large community lounge with restaurant and & café-bar with very affordable prices. Public transport to anywhere in the country is available just a few steps away and there are many restaurants, markets and fast food restaurants in the immeditate vicinity. 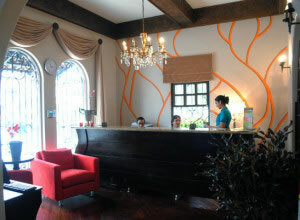 The Hostel is convenientely located just 20 minutes away from San Jose’s International airport.